It is that time of year again, Autumn time, the weather is getting windier and the days are getting shorter. Most gardeners hate the mess the Autumn brings, leaves all over the lawn, plants fading away and dying, clunky debris and the general mess of the garden. We are here to help, we stock all kinds of garden machinery to deal with everything all seasons put us through as homeowners. During Autumn time our garden blowers are exactly what is needed to keep that garden looking fresh and clean of any detritus. Here are 3 great blowers for Autumn 2018. 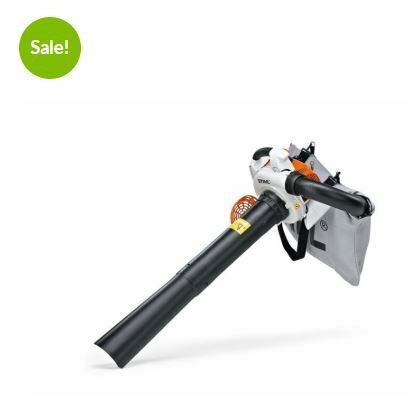 The Stihl BG56 C-E blower is perfect for cleaning up debris especially leaves which are left lying on the ground, on paths or the home driveway. This blower is very powerful and has low emissions. Garden work doesn’t have to be hard with this fantastic machine. The handheld petrol leaf blower features Stihl ErgoStart which makes starting it effortless. The BG56 C-E has a special stop switch along with a semi-automatic choke lever which makes it virtually impossible to flood when starting this unit. A vacuum adaptor kit is available which can convert this blower into a vacuum shredder. Its nozzle is round in shape and the machine itself weighs 4.1kg. The Stihl BR200 backpack blower is a low weight backpack blower with the power to easily deal with any blowing task around the garden. It has a simplified starting system and anti-vibration system which provide added comfort and help reduce user fatigue. The BR200 single-handed operation is super easy to control. The 35.5 oz. fuel tank apart from this machine means fewer refuels compared to handheld blowers, therefore, fewer interruptions. It is equipped with an adjustable support harness that distributes weight evenly across the shoulders and back which reduces fatigue during operation. This bower weighs 5.8 kg. 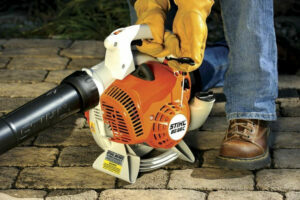 The Stihl BR700 backpack blower makes removing leaves and messy detritus from lawn and garden driveway. This ultra high-performance blower has a length-adjustable blower tube and a handle position adjustment which can be adjusted easily to suit the operator. Its high blowing force output is great for removing cuttings, leaves and debris easily. There are lots of fantastic features to this powerful and innovative blower. 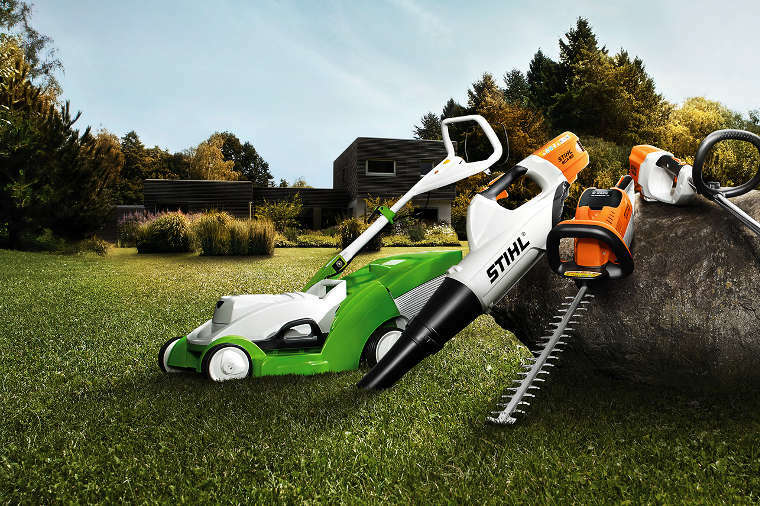 The blower has Stihl 4-MIX engine technology which provides fast acceleration, more power, lower noise, reduced emissions and increased fuel efficiency to perform tasks quickly, quietly and easily. The BR700 comes with a semi-automatic choke for smooth and easy starts. The weight of this powerful and portable machine is 10.8kg. If you are thinking of buying a new blower or getting one for the first time these 3 garden blowers are perfect to upkeep your garden. For more information on these blowers, call us today on 021-496-5132.